The People’s Progressive Party Civic (PPPC)-led administration spent almost GY$100 million on medical and dental expenses from 2012 to 2014, but Health Minister Volda Lawrence could not immediately say how much her ministry was paying in 50 percent insurance premiums for ministers and their families. 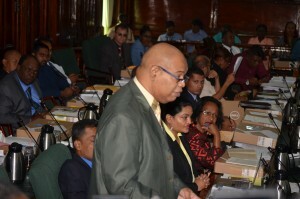 In response to questions by opposition PPP parliamentarian, Juan Edghill, the Health Minister said in 2012, GYD$37.138 million were spent on health care for ministers and their family members; GY$9.732 million in 2013 and GYD$47.284 million in 2014– all totaling GYD$94.154 million. She said those amounts did not include dental expenses which stood at GYD$2.456 million were spent on dental health for the ministers and their family members in 2012; GYD$1.793 million in 2013 and GY$84,999 in 2014. The grand total for dental and other medical expenses for the period was GYD$98.487 million. Pressed by Edghill on how much monies government was spending on 50 percent insurance premiums for those elected officials and their families, she said she did not immediately have that figure and promised to provide it at the next parliamentary sitting. “Mr. Speaker, at this time I do not have that figure but I can assure this House that at our next sitting I will provide that information,” she said. 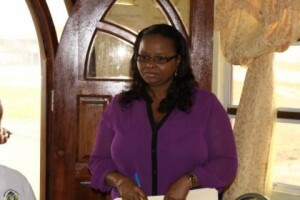 The Public Health Minister said the other 50 percent is deducted by Parliament from ministers’ salaries. Touching on how much monies were spent on medical care by the incumbent David Granger-led administration, Lawrence said no request for funds were made from June 2015 and all of 2016 for medical and dental expenses. However, in 2017 GY$2.404 million were requested before government had signed on to the insurance scheme. The Public Health Minister said individual insurance premiums would vary depending on the analysed risks by the insurance companies. “It was just about a year after we took office that the Cabinet was apprised of expenditures incurred previously for medical and other expenses and took the decision to begin a search to look at various insurance companies that can be able to provide insurance coverage for members of Cabinet and ministers and their families should they wish that so that we do not place a burden on the public funds as transpired in years previous,” Lawrence.